We are still in the process of upgrading our new GIS site, they are a work in progress and may need adjusting, and are not Official in any capacity. The duty of the County Assessor under the West Virginia Constitution is to determine the value of real and personal property for the purpose of taxation. The role of the Assessor in the property taxation process is frequently misunderstood. People often say that the Assessor increased their taxes, but in reality, the Assessor’s only role is to fairly determine the “true and actual” value of real and personal property. The Levying Bodies such as Legislature of WV, the Board of Education, the County Commission and the City/Town Councils set their budgets and the rate of taxation (the levy rate). Your tax bill is determined by multiplying a tax rate against our assessed value, which is 60% of market value. The Assessor also deals with Homestead Exemptions, Managed Timberland and Agricultural Use Properties, Public Utilities, collection for distribution of Dog Tags, and the Certification Process. Over 70% of property tax dollars go to schools and education. County government gets approximately 20% which is used to support the courthouse, jail and various services such as: EDA, Health Department, Water and Sewage, Parks And Recreation, Dog Pound, 4-H Camp, Emergency Services, and Social Services. The remainder goes to the State and municipalities. If you or an organization would like to have more information about your assessment, please let me know. I will schedule an appointment for you one on one or we canschedule a tour for groups of 10-12 people. Remember this is your government learn how it works. Phone (304) 530-0202. Every year you receive a personal property assessment form to be completed and returned to the Assessor’s Office. Please examine the form carefully and list all property that you owned on July 1. ASSESSMENT SHOULD BE DONE AS SOON AS POSSIBLE AFTER JULY 1, BUT NO LATER THAN OCTOBER 1.
BUSINESS PERSONAL PROPERTY DEADLINE IS SEPTEMBER 1. **To avoid interest and penalties be sure to file on time every year. ** If you are not assessed in the proper time frame, it will result in a supplemental assessment which has a penalty of $25.00 to $100.00. All property not assessed is subject to penalty. You may also bring your form along with all vehicle identification numbers to the Assessor’s Office. The identification numbers can be found on your registration card. The office staff will assist you in filling out your form. Office staff will also be in Wardensville on a Monday and Mathias on a Tuesday in August. Date and times to be announced in the Moorefield Examiner and WELD at a later date. You must come to the Assessor’s Office to file proper forms for Farm Use Exemption between July 1 and September 1 every year. If you do not file for the exemption , you will not receive it. Farm Use Stickers may be purchased after August 1. If you are 65 years of age or older on or before June 30 following the July 1 assessment date, or you are permanently and totally disabled, you may file for the Homestead Exemption in the Assessor's Office. This would exempt you for the first $20,000 of the assessed value. All New Applicants MUST File between JULY 1 and DECEMBER 1 of Each Year. 1. Applicant is the OWNER and OCCUPANT of the property. It must be used exclusively for residential purposes. 2. Applicant must have accupied the property more than six months prior to the date of application. 3. Applicant must have been a resident of WV the two consecutive years preceding the relative tax year. 4. Applicant must sign an oath that they do not receive a similar exemption in another state or county. 5. If Applicant has resided in another state and returns within a period of five years, applicant will be allowed exemption if such person resided in WV for two years out of the five immediately preceding the relative tax year. 6. Only one Homestead Exemption shall be allowed for each residence used and occupied by the owners therof, regardless of the number of eligible owners residing therein. If you have any questions regarding Homestead Exemption, please call the office at (304) 530-0202. WV Law requires the Assessor to collect license tax on all dogs that are or will be six months of age or older, for county and municipalities. You will find space provided on your assessment from to give a brief description of each dog. Dog tags will be mailed to you at the address listed on your assessment form. Please enclosed check or money order with you assessment. Dog license tax supports reimbursement to farmers for loss of sheep killed by dogs, the pound, and animal control programs. NOTE: Dog tags are sold all year long. If you get a dog before or after July 1 and it is 6 months old or older, a dog tag is required. If assessed in the proper time frame you will receive a printed tax statement from the Sheriff's Office the following July. 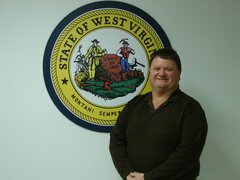 The Sheriff's Office is the Treasurer for Hardy County and is responsible for tax collection. On July 15, the current year's collection begins. You may receive a 2.5% discount if you pay the first half by September 1 and the second half by March 1. On April 30, a delinquent list is prepared and published in the newspaper. If you have not paid delinquent real estate taxes by the date of delinquent tax sale, your property will be sold. Date of the delinquent tax sale will be published in the local newspaper. Please remember, if you are not assessed within the proper time frame with the Assessor's Office you WILL NOT receive a tax statement from the Sheriff's Office. WV Code §11-3-10 requires that you report all taxable property owned as of July 1. Thank you for your cooperation. I have an open door policy and your comments are always welcomed and appreciated.